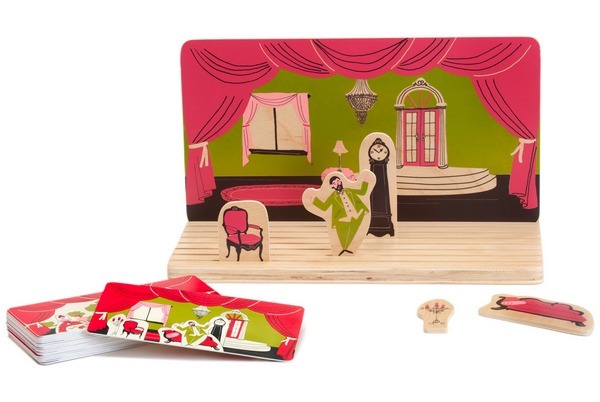 My life is complete – there’s an opera toy on the market. For years I have been telling myself that my kids don’t share my love of opera because they can’t relate to it. Which is fair enough – cheating lovers, murderous plots and drawn out death scenes have no place in a pre-schooler’s world. Or do they? Thanks to Kid-O, all the world is a stage and a delightfully dramatic opera stage at that. 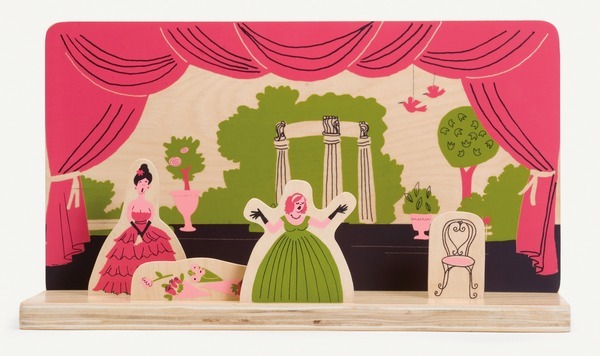 The Kid-O A Night at the Opera game is part play theatre and part brain teaser – make up scenes, arrange props and decide who takes centre stage – the soprano who is surely a demanding diva or the strapping tenor? You can play with the included game cards to recreate each scene or stage your own musical drama. Each set comes with outdoor and indoor scenery backdrops, a wooden stand, sixteen pieces and twenty four cards packed in a neat cotton bag. Sets are £39 and are available from Bebemoda who will ship to Australia. Find previous posts on the fabulous range from Kid-O here.